Electronic Engineering Company (Private) Limited has been conducting business in Pakistan since 1972 and is one of a handful of companies which has a continuous presence in this field in Pakistan over the last 46 years. 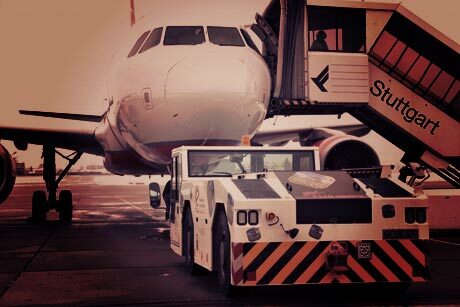 We are sole representative of Original Equipment Manufacturers specialising in the construction equipment industry and the Aircraft Ground Support Equipment category. 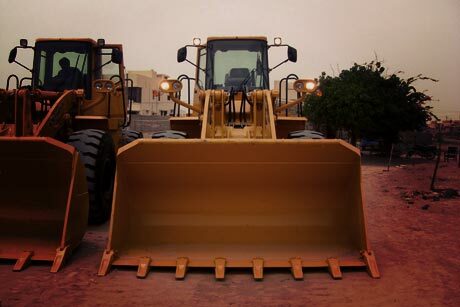 We specialise in the sale and after sales support of construction equipment such as Heavy Duty Cranes, Front End Loaders, Chain Dozers, Hydraulic Excavators and Aircraft ground support equipment such as Aircraft Tow Tractors, Aircraft Rescue Fire trucks and Airport Runway Mechanical sweepers. We have been conducting business in Pakistan since 1972 and are one of a handful of companies which has had a continuous presence in our field in Pakistan. Our sales and support strategy is based on 46 years of experience and we believe strongly in the term “The Customer is Always right”. Our goal is to operate as the eyes and ears of our principals while providing the best possible sales and a mobile "On Site After Sales Support Solution" to all our customers within our sales territory. We enjoy good relationships with our customers which are based on our excellent track record of timely after sales support on completed sales. We specialise in the induction of new equipment to the Pakistan market, this involves introducing new principals who have no previous sales record in our territory. We have successfully executed large volume sales within Pakistan in our history and this has only been possible due to unyielding support and trust of our principals, we believe that this support is the most important element in having a successful and mutually beneficial relationship with any partner. TRACE has completed a TRACEcertification due diligence review of Electronic Engineering Company (Private) Limited. Certification by TRACE signifies that Electronic Engineering Company (Private) Limited has completed internationally accepted due diligence procedures and has been forthcoming and cooperative during the review process. TRACEcertification underscores Electronic Engineering Company (Private) Limited commitment to transparency in international commercial transactions. We operate as the eyes & ears of our principals within our sales territory. The most important thing to us is	the trust of our customers and principals. We enjoy a more than 90% success rate in the tenders in which we participate. EEC specializes in the induction of new equipment to the Pakistani market. EEC been conducting business in Pakistan since 1972. Please get in touch with us for all of your in-country needs.